Andrea Stokes Attorney - Andrea Stokes Biography | National Legal Research Group, Inc. B.A., University of Florida, 1987. J.D., University of Florida, 1990, where she received Honors in Legal Research and Writing. Active Member, Florida and Eighth Judicial Circuit Bars. Prior to joining Florida Legal Research, Andrea practiced in the areas of commercial litigation, personal injury, and insurance defense before focusing on criminal litigation, both prosecution (with the State Attorney's Office) and defense. During those years, Andrea tried several jury cases and numerous nonjury cases in the Gainesville and Orlando areas. Later, Andrea was a member of the municipal ordinance prosecution division of the Gainesville City Attorney's Office, and continued to appear in court regularly. Andrea also served as an Adjunct Instructor of Business Law and of Legal Research and Writing at Santa Fe College and taught courses in Torts, Business Law, and Legal Research and Writing at Central Florida Community College. She has presented seminars to local government employees on such topics as sexual harassment in the workplace, workers' compensation, Health Insurance Portability and Accountability Act, and the Americans with Disabilities Act. Andrea joined Florida Legal Research in 2007 and specializes in Florida cases at both the state and federal levels. Areas of expertise include Civil Procedure, General Business Law, Contracts, Personal Injury, and Criminal Law. Since joining FLR, Andrea has worked on numerous pleadings and memoranda involving motions to dismiss, to compel discovery, and for summary judgment on issues such as contracts (including personal services contracts), a wide variety of tort-based claims, punitive damages, privilege and sovereign immunity, insurance coverage, family law, Florida Deceptive and Unfair Trade Practices Act, Health Care Quality Improvement Act immunity and peer review, and estates and trusts. Discovery-related projects arise frequently. She is also currently working on the Florida Statutes of Limitation publication for NLRG. An example of a significant project was a motion in limine regarding corpus delicti and the Confrontation Clause as applied to recorded communications in a criminal felony case. Another significant motion in limine project involved exclusion of evidence of a history of criminal drug use in a personal injury case. A recent significant pleading involved drafting a detailed and complicated complaint and accompanying discovery on a variety of causes of action, including § 1981 and breach of contract, stemming from an alleged wrongful peer review of a physician. 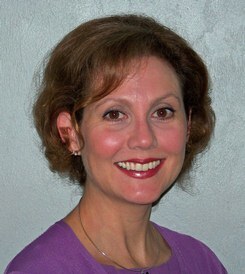 Andrea has also drafted multiple appellate briefs (jurisdictional, initial, answer, and reply) to Florida's District Courts of Appeal and the Florida Supreme Court and to Florida's federal courts of appeal on issues involving equitable distribution, child support and alimony, breach of contract, worker's compensation, and sundry procedural issues such as summary judgment where discovery was ongoing. Andrea served as a member of the local Jaycees for several years. Her interests include reading, staying fit, gardening, nature walks, bird watching, supporting University of Florida football, serving on the Board of Directors for the Gator Band Alumni Association, and playing the piccolo (much to her family's dismay). When not torturing the household with piccolo music, Andrea enjoys watching movies and football games with her family. Andrea speaks fluent Spanish and is communicative in Portuguese and French. See a sample of Andrea's work.